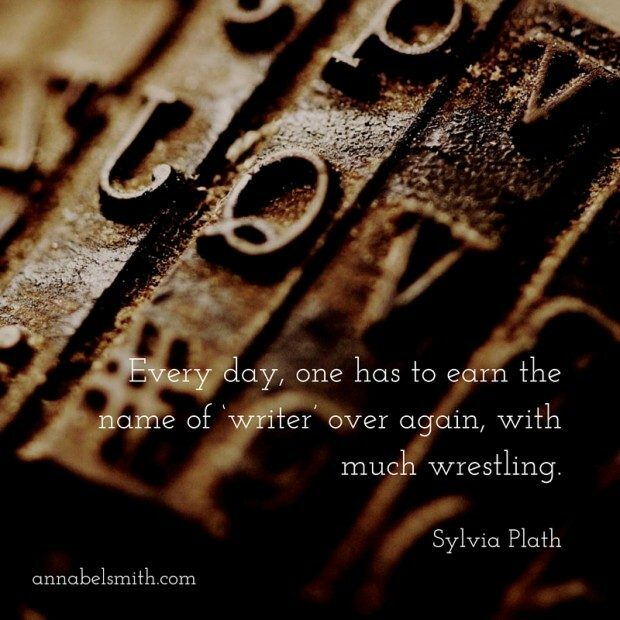 Soon after you sign a contract with a publisher, the editing process begins. A recent poll revealed that being edited is one of a writer’s greatest fears. No, not really, I just made that up. But I’m pretty sure if there was research on this it would turn out to be true. It’s only natural that we hate the thought of someone getting all up in our words and a) telling us what’s not perfect about them (how outrageous!) and or b) trying to put their own stamp on them. The good news is that most editors understand these fears and are gentle with writers’ feelings. But don’t take my word for it. I asked Amanda Curtin, who edited my debut novel to talk abut the process from an editor’s point of view. A common fear among new writers is that an editor will alter their work, that their manuscript will be returned to them with insertions and deletions, rewritten or reorganised passages—that it will no longer be recognisable as theirs. In fact, when it comes to substantive matters, an editor is far more likely to ask a question than to make a change. The first round of editing might consist of discussion, suggestion, asking ‘have you thought…?’, playing ‘what if…?’, with not a single alteration on the page. Straightforward copyediting changes are different, of course—for example, to achieve consistency or to conform to the publisher’s house style for things like single/double quotation marks, -ise/-ize spellings, author–date referencing/superscript notes. But the author generally knows about this before editing begins, and there is always the opportunity to speak up if retaining endnotes is a matter of life and death for them. I want to acknowledge that it can be a deeply confronting experience to offer up your manuscript to someone else for editing. 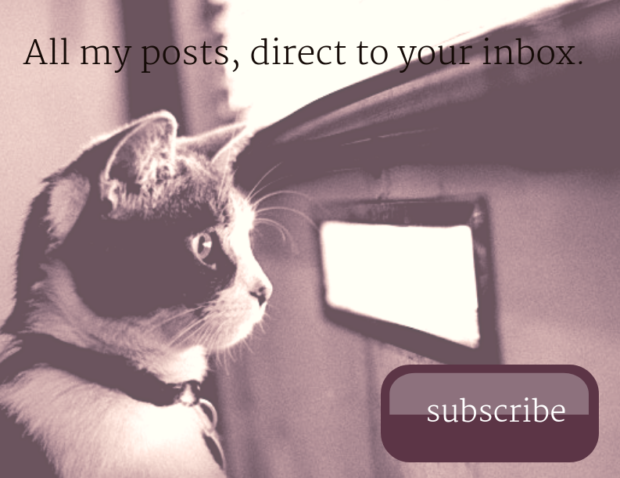 It’s not surprising that writers might feel apprehensive. But the first step in establishing a good working relationship with an editor is to understand that the process of editing is not about making your manuscript something other than it is, but making it the best it can be. Amanda Curtin is the author of novels Elemental and The Sinkings, and a short story collection, Inherited. She has worked in publishing for more than 25 years as a freelance book editor, and is accredited (AE) by the Institute of Professional Editors. 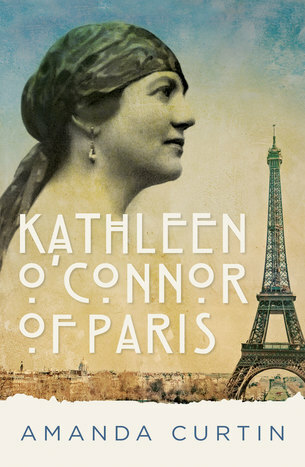 Her latest publication is part biography, part travel narrative: Kathleen O’Connor of Paris. What does it mean to live a life in pursuit of art? In 1906, Kathleen O’Connor left conservative Perth, where her famous father’s life had ended in tragedy, for a career in thrilling, bohemian Paris. As Amanda mentioned above, most books go through several rounds of editing: a structural edit, a copy edit and a proof read. The structural edit is probably the most scary because your editor will look at big picture stuff like point of view, character, structure and plot. For example, does one character need more development? Could the story be better told in a different order? Is there a saggy middle where you need to tighten things up to pick up the pace? 1) RAGE My editor is an idiot! They don’t understand my book at all! How dare they suggest all these idiotic changes? 2) DESPAIR My book is garbage! Look how many changes are required. I’ll never be able to make these changes. I’m a failure! Both of these reactions are completely normal. After some self-care/wine/chocolate/valium/walks on the beach/talks with supportive loved ones etc you may revisit the editor’s report with less emotion. Maybe I could try that, you might think, or, I guess I have always known this part of the book was a problem. You might begin by tackling one or two small changes, and they won’t seem as traumatic or onerous as first imagined, and before you know it, you’ll be rolling along, saying, This is great! My editor is a genius! I’m so grateful for how much better they’re making my book! 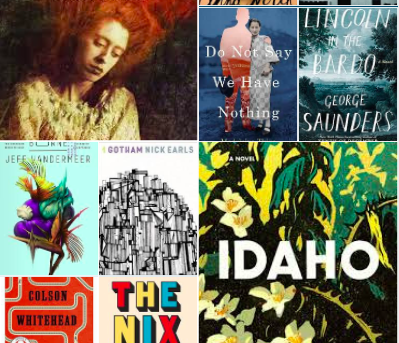 Before your first book is edited, you might imagine the editorial process will stretch over months, with hundreds of in-depth suggestions and much back and forth between you and your editor, just like it was with Raymond Carver and his editor, Gordon Lish. These days, timelines are tighter and so are budgets, and in many cases your edit may not be more than a quick once-over. With my books, the process has been somewhere between. On ‘From the Wreck’, I had the pleasure of being edited by Penelope Goodes. The first thing she did was to let me know in detail how much she’d loved my manuscript, which meant I was putty in her hands when she suggested numerous changes. In many cases, these were parts of the manuscript that I knew weren’t quite up to scratch, but which I hoped everyone else would overlook. She didn’t. She forced me to make them better, and for that I am very grateful. These weren’t so much structural edits as detailed copy edits – finding the spots where my skill or attention had flagged, and encouraging me to bring them up to the standard of the rest of the manuscript.As well as telling me to write harder, Penelope had a brilliant eye for messed-up tenses. When you write stories that fool around with time, as I often do, this is invaluable advice. I got the same brilliant help from my editor at Seizure, Marisa Wikramanayake – my novella ‘Formaldehyde’ has all kinds of overlapping timelines and it was so good to be edited by someone who noticed when I messed them up.When you’re a writer – particularly if you’re a professional writer like I am – you might assume yourself incapable of making grammar, punctuation and spelling errors. These two editors showed me how wrong I was, and made sure my books went out into the world clean and correct. They saved me from so much embarrassment. It is such a skill to be able to concentrate long enough to do a proper proof-read, and such a blessing when someone does it well. In summary: editors and being edited are the best. When your editor makes suggestions, listen to them and take them seriously. There may be some things you’ll find you really don’t want to do, and in that case you should say so. But I think it really pays to be open to any and all ideas your editor has. Being edited by a publishing house is not like any other kind of manuscript assessment. Peer critiques, paid for professional assessments, judges reports, they are all a little different to the in-house editing process. While these other assessments are often (amongst other things) forensic, blunt, informative, insightful, and encouraging, the kind of feedback you receive is given in the knowledge that you will have more time to devote to your manuscript. 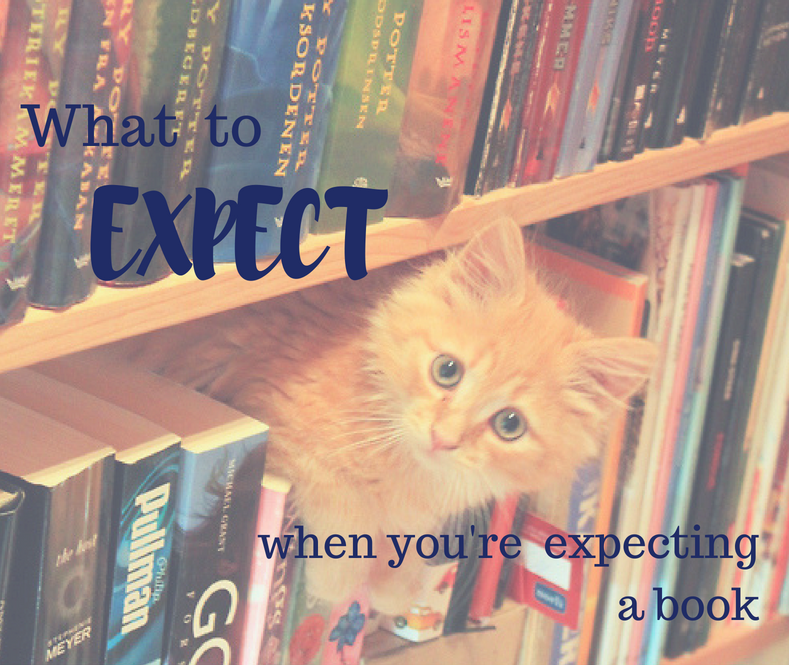 But once your manuscript has been accepted by a publisher, and you have signed your contract, you have a release date, and that release date is a ticking clock. Suddenly, you don’t have the time to walk the entire manuscript around the block again, you have a firm deadline. Your consultations with the in-house editor overseeing the book, the editor who is doing the close edit of your manuscript, and the proof reader (who you won’t hear from, but you know is there), are fast, intense and leave no time for ethical or philosophical ponderings, as the time for those things has (mostly) passed. The manuscript for Letters to the End of Love did not require a structural edit so I got off lightly in that regard, no massive re-writes under pressure or great chunks of the narrative moved around or cast aside. What happened instead was a delicate, but quite intense reworking of voice, tone and character, and a forensic analysis of spelling, grammar and syntax. Small mistakes slipped through of course, but that’s only human. My editors were the only other people to see inside that small, self-contained room I’d built out of words. They bought their took kits and their overalls, they made their adjustments, we had a cup of tea and a chat, and then they left, having made everything better. Yvette Walker’s debut novel, Letters to the End of Love won a WA Premier’s Book Award & was shortlisted for a NSW Premier’s Book Award. 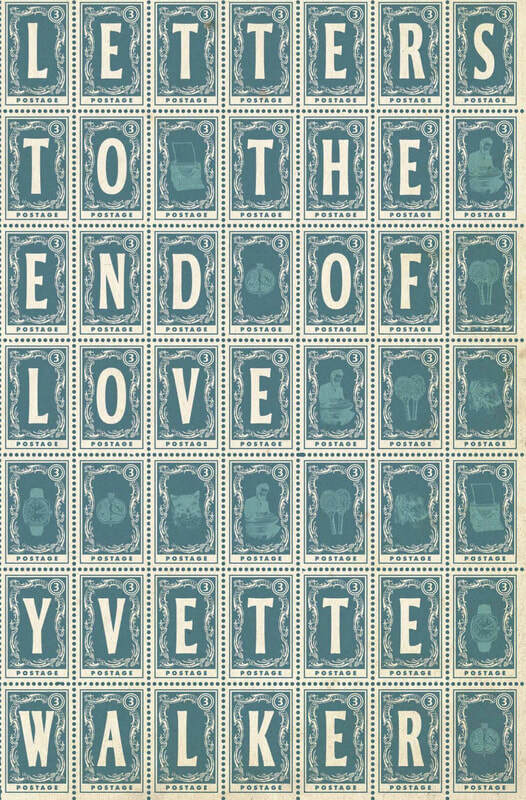 Letters to the End of Love is a novel that concerns itself with 3 different sexualities: lesbian, gay and straight. Yvette is currently working full time on her second novel. Working with the team at Griffith Review to edit my novella “Poster Boy” was a fantastic growth experience for me. A few funny things happened during the editing process. Firstly, I had used the word ‘cool drink’ in the novella, but during the editing I discovered this is a West Australian colloquialism. Apparently everyone else in Australia calls it ‘fizzy drink’ or ‘soft drink’. I had to argue my case for keeping ‘cool drink’ in the manuscript, as the protagonist and his family are from country WA. When I got the first copy edit back, there was a note saying the judges found my two main characters, Tommo and Fred, an implausible couple because they were so different (Fred is French and a bit refined, while Tommo is an Aussie country boy and a bogan). This stung because I had based those two characters on myself and my fiancé! Although the novella is fiction, I had written it partly to show how internalised homophobia and self-hatred can make someone a real prick – but it hurt to read that feedback, because I saw myself and my own behaviour reflected in that comment. To make their relationship more believable I added some scenes which revealed Fred and Tommo’s first meeting, what attracted them to one another, and how they brought out the best in each other. The Griffith Review team gave me some of the most fine-detail edits I’ve ever had. We had ridiculous and sometimes hilarious conversations, from deleting tautological errors (milky latte) to whether it was okay to say that lungs ‘tense’. But that’s ultimately what the editing process is about: it allows us to send out a polished version of our work we can be proud of. I certainly emerged from the process feeling that the Griffith Review editorial team had spun the coarse threads of my novella into a fine silk. Holden Sheppard is a Perth-based author originally from Geraldton, Western Australia. His unpublished YA novel Invisible Boys won the 2017 Ray Koppe Residency Award, was highly commended in the Australian Society of Authors’ 2018 Emerging Writers’ Mentorship Prize, won the TAG Hungerford Award and will be published by Fremantle Press in 2019. 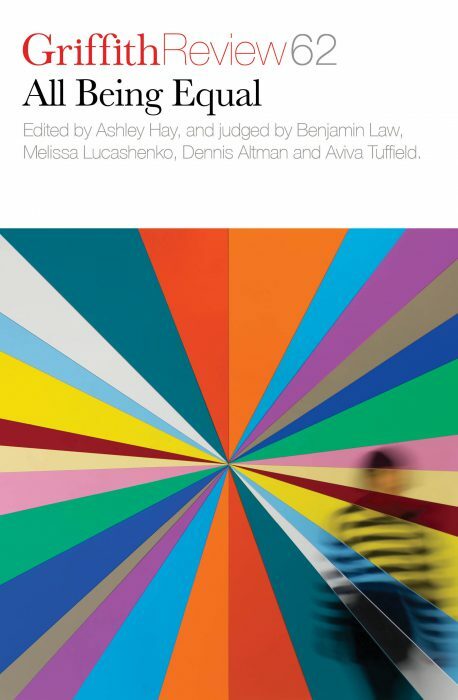 His novella Poster Boy has recently been published in The Griffith Review’s LGBTQI? edition All Being Equal. Looking forward to publishing my findings in 2019. Thanks for sharing your thoughts, Jessica. ‘Time for the editor’ often seems a thing of the past as publishers increasingly cut editing budgets. Clear expectations is fundamental for every relationship!